Free Moving Quotes in Minutes! Collegian Mover's mission is to be the most trusted moving company in CT while delivering you an exceptional moving experience at an affordable price. It sounds simple. And it is. In fact, over the past 30 years, our commitment to service has proudly helped us to grow into one of the best rated moving companies in Connecticut. Collegian Movers is the "Smart Way to Move." Our moving company employs high-performing, results-driven moving crews and relocation specialists trained to provide customized moving services, tailored to meet your moving needs. When selecting moving companies, we know outstanding service means everything. That is why the quality of our moving and packing, the safety of your belongings, and the customer care we provide to you is our top priority. We are proud to be your local Connecticut mover and have performed home moving in almost every town in Connecticut; including Milford, New Haven, Fairfield, Norwalk, Greenwich, and New Canaan. We are capable of providing a Free accurate estimate over the phone, due to our 3o+ years of experience with professional moving services in CT. Need flexibility with your corporate or residential move? Collegian Movers storage units are available for temporary, short, & long-term use. Our full-service storage picks up your items in our moving trucks, securely stores, and deliver them back to you on demand. So, you never have to leave your home and all the heavy lifting is done for you. Collegian Movers has over 3 decades of experience in long distance moving. We specialize in the best state to state moving both to CT and moving out of CT. Plus we offer moving services up and down the Eastern seaboard. Our interstate moving companies provide you with the same outstanding customer service our reputation was built upon. Are you moving from the USA to another country? Collegian Movers works with a large network of freight forwarders and takes care of all the details for you. By working with companies, we are able to deliver your belongings from the United States to virtually anywhere in the world. Is your business relocating? Or, are you performing a full office move, inter-office, or intra-office move? If so, Collegian Movers is more than equipped to handle your company moving needs. Our specialties include moving commercial buildings, small business offices, schools, and libraries. We offer help packing and unpacking at any level, including disposal and recycling. That being said, our packing services include; our CT movers fully packing for you or partially packing only the items you need. Just in case, you want to pack ahead of time, we also carry boxes and packing supplies. Collegian Movers has local movers working in all areas of Connecticut. Our areas of service include the CT shoreline, New York City and all throughout Fairfield and New Haven counties. Our movers travel daily to New Haven, Hartford, Stamford, Westport, and Greenwich. In addition, we serve all of Connecticut on a daily basis. We are the go-to moving company for Connecticut residents. This is even more true for those who are seeking long distance moving companies to move from CT and NYC or moving locally within CT. Additionally, we offer storage services. See our local storage page to learn more about moving company storage costs. For more information on pricing and moving services, find the location near you! When you need a New Haven Moving Company or a mover in another city in Connecticut, you want to work with a company that has your interests in mind. Our professional moving company has the knowledge and manpower to get the job done right. Plus, we take great care of your home and belongings. So, let Collegian Movers show you why we have hundreds of satisfied clients. When you move with Collegian Movers you move with one of Connecticut's finest movers. We are a top-rated moving and storage company in CT and offer full-service residential and business relocation, packing, and storage services. Our goal is to exceed your expectations by providing you with customized moving solutions that meet your needs. As a result, we take care of you every step of the way. In comparison, to other Connecticut moving companies, Collegian Movers has a superior reputation for its customer service. To begin with, we pride ourselves in providing you with the same quality service and seamless moving experience regardless if you are making a local residential move out of an apartment, relocating your business, a long distance move, or simply in need of a piano moved. In summary, when you want to hire the best moving companies in Connecticut with affordable rates, and great service ~ Collegian Movers is the smart choice. "Kind, Patient, Experienced, Hard Working Movers"
We are proud to be recognized by the people we serve. Find out what our clients say about their moving experience. Our client feedback reminds us of our continuing obligation to exceed your expectations. So, stop wondering what it would be like to move with a professional moving company. Check out our moving company reviews from real customers who love us. We hope you'll become one of them. Shopping online is as easy as it gets. Wouldn’t it be great if you could hire movers in as simple as a few clicks? The good news is, it's now it's possible! We know you want to move without all the hassle! And, that's why Collegian Movers has created an easy way to book reliable movers. Try Collegian's clear and upfront pricing tool. It's easy and convenient to use. First, you tell us about your move, so we can serve you better. Then, you tell us about yourself, so we can contact you. Next, you receive a FREE no-obligation moving estimate. Finally, there is an easy way to find out how much a move costs before booking the move. Sounds easy enough, but if you are still not sure about hiring our movers, then check out our reviews. You can read feedback from clients who have used our services and finally, rest easy knowing you are hiring seasoned, professional movers. Request Your Exact Moving Estimate and Book your Move Today! Collegian Movers is a reputable Connecticut Moving company that makes premium service possible for any need and budget. Call today to learn more about our relocation and storage solutions. We also welcome you to complete our simple online form to request your free, no obligation moving estimate. We look forward to providing you with a hassle-free and swift relocation experience! Collegian Movers offer reasonable hourly rates with no hidden fees, surcharges, or surprise costs. We offer affordable moving services with great moving experiences. You can meet your budget with customized moving solutions. This is true even if you are moving locally, across the country, up-sizing or downsizing. Our expertise in moving Connecticut homes is an authority among local moving companies. We are the most trusted movers for over 30 years. When you hire us you are guaranteed to benefit from our years of experience in the moving business. Don't risk your valuables to just any movers. Hire our fully insured & licensed professional moving company. Our moving crews are trained, licensed, and insured Connecticut Movers. We know how to keep your things safe and secure! Customer Satisfaction is a priority for us. We provide quality service and work hard to exceed our customer's expectations. From the first click to the last box our trained professional movers CT stay committed to you! Read our client reviews from former clients just like you. We are a part of your neighborhood and truly care about you! Our helpful full local moving services help you to move all throughout CT, plus into NYC, and the tri-state area. Hire the best local moving company in CT and have a stress-free moving experience. We are the most reliable movers. Our moving crews show up on time and ready to work. They provide you with quality service. You can depend on our honest, friendly & professional moving teams to get the job done to your satisfaction! Besides offering excellent moving services in CT, we keep our website up to date, through our blog content. 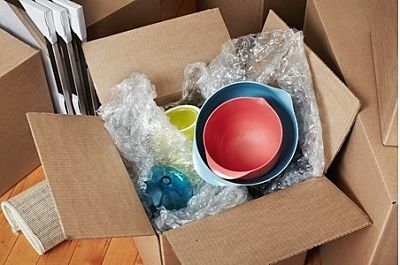 Our blog contains useful moving tips & packing tricks for an easy move. Obviously, for many people, moving is a one-time experience that requires a lot of research. So, why not learn from the experts. Head on over to our Relocation Blog For Movers and get expert tips on moving from experienced professionals to make things easy for yourself. From this perspective, we hope that our blog represents a valuable source of information for anyone planning to move. What Can I Move With Collegian Movers? Our Moving Company is built for moves of all shapes and sizes. So, no matter if you are looking for furniture moving company to move your house locally or for an out of state moving company to move you interstate, Collegian Movers has you covered. We handle all types of moves, including moving your office, home, or even just moving a single item. In addition, we offer affordable removal services and dump runs. Still, have questions about moving? Check out our FAQ's for online assistance. At Collegian Movers, we are committed to providing consistent, trustworthy quality, and valuable services to our clients! We understand the special requirements needed to provide you with an efficient hassle-free move. Our trained, full-time, honest, dependable movers provide personalized moving experiences that you just won't find with other Movers in CT. So, give us a call to get your free quote and start moving today! Learn About Moving and Packing from the Industry Experts. Brush Up on Your Organizational Skills With Our Declutter Guide. Short on Time? Learn About Our Last Minute Moving Options. Learn How to Move Efficiently With Our Helpful Moving Tips.